My website only collects basic information that facilitates the functionality and flow of your interaction and viewing of my work. The information we collect may include your personal information, such as your name, contact information, IP addresses, product and service selections and other things that identify you. We collect personal information from you at the certain points, including but not limited to the following: ● when we correspond with you as a customer or prospective customer; ● when you visit our website; ● when you register as an end-user of our services and an account is created for you; ● when you contact us for help; ● when you attend our customer conferences or webinars; and ● when the site sends us error reports or application analytics data. ● we may provide your information to our about our Services. We may share this information with our affiliates and other organizations or Service Providers in line with this policy and the rules posted for the Promotion. If you do not want to receive communication from us in the future, please let us know by sending us e-mail at privacy@artstorefronts.com. If you supply us with your postal address online you will only receive the information for which you provided us your address. If you have any questions about this Privacy Statement, the practices or concerns of this site, or feel that the site is not following its said policy, please contact our Privacy Officer at: privacy@artstorefronts.com. 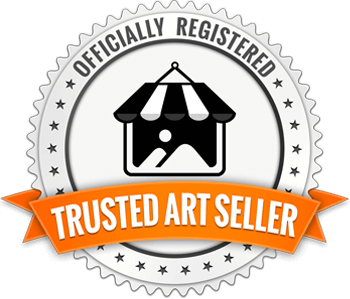 Art Storefronts complies with the EU-US Privacy Shield Framework and the Swiss-US Privacy Shield Framework as set forth by the US Department of Commerce regarding the collection, use, and retention of personal information from European Union member countries and Switzerland. Art Storefronts may receive Personal Data from its own personnel as well as from its affiliates and other parties located in the EU/EEA. Such information may contain names, addresses, email addresses and payment information and may be about customers, clients of customers, business partners, consultants, employees, and candidate for employment and includes information recorded on various media as well as electronic data. 2. Individuals have the opportunity to choose (opt out) whether their Personal Data is (1) to be disclosed to a non-Agent third party or (2) to be used for a purpose other than the purpose for which it was originally collected or subsequently authorized by the individual by contacting our privacy officer via email at privacy@artstorefronts.com. Agents, technology vendors and/or contractors of Art Storefronts or its affiliates may have access to an individual’s Personal Data on a need to know basis for the purpose of performing services on behalf of Art Storefronts or providing or enabling elements of the services. All such agents, technology vendors and contractors who have access to such information are contractually required to keep the information confidential and not use it for any other purpose than to carry out the services they are performing or as otherwise required by law. a. Human Resources Data . Art Storefronts would generally not collect human resources data. If there was reason to collect such information and there was a complaint it would be addressed within a timely period. If your complaint is not satisfactorily addressed by Art Storefronts, and your inquiry or complaint involves human resource data, you may have your complaint considered by an independent recourse mechanism: for EU/EEA Data Subjects, a panel established by the EU data protection authorities (“DPA Panel”), and for Swiss Data Subjects, the Swiss Federal Data Protection and Information Commissioner (“FDPIC”). To do so, you should contact the state or national data protection or labor authority in the jurisdiction where you work. Art Storefronts agrees to cooperate with the relevant national DPAs and to comply with the decisions of the DPA Panel and the FDPIC. The services of EU DPAs are provided at no cost to you. We are committed to following the Principles for all Personal Data within the scope of the Privacy Shield Frameworks. 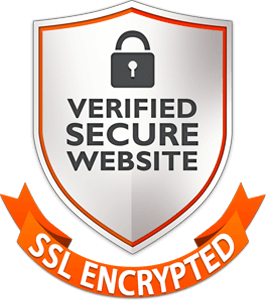 We are committed to following the Principles for all Personal Data within the scope of the Privacy Shield Frameworks. However, certain information is subject to policies of Art Storefronts that may differ in some respects from the general policies set forth in this Privacy Statement.